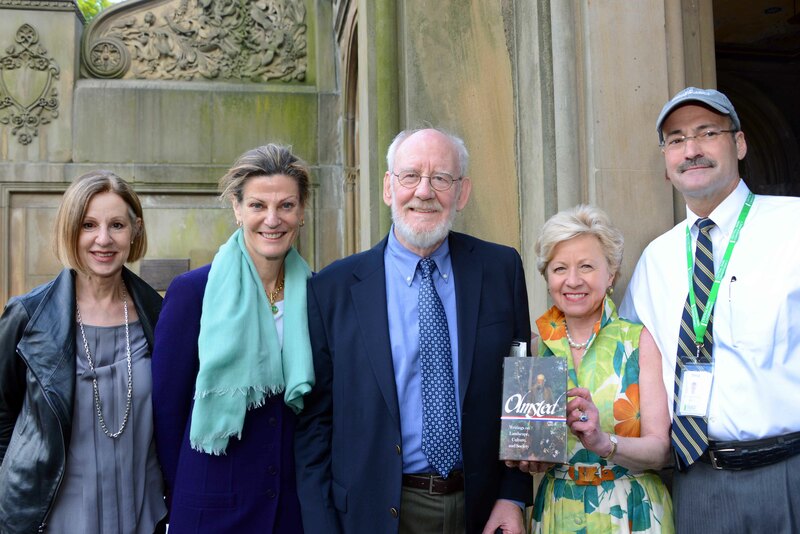 Last Wednesday, one of our Directors, Faye Harwell, was in attendance at Bethesda Terrace for a celebration of Frederick Law Olmsted, the father of Landscape Architecture. Charles Beveridge, a series editor of the Frederick Law Olmsted Papers Project, spoke about Olmsted, sharing insights into his life. This springtime celebration also launched a partnership with Central Park Conservancy (CPC) and Library of America (LOA). Pictured below (left to right) are Faye Harwell, RHI Director, FASLA; Elizabeth Smith, LOA Chair and CPC Trustee; Charles Beveridge, Series Editor of Olmsted Papers; Cheryl Hurley, LOA President; Doug Blonsky, CPC President.